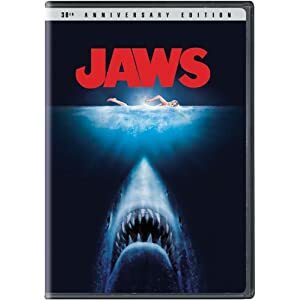 Jaws is probably one of the best-known thriller movies of all time. Steven Spielberg's first directorial hit shocked the world and made people afraid to go swimming - even in pools! The performances of the cast are amazing. This movie is a collector's item for all movie fans, not just horror fans. The story is very simple. An enormous great white shark gets addicted to human flesh and starts patrolling the water off Amity Island. The town is terrified and wants the shark dead. Starring Roy Scheider and Richard Dreyfuss, this movie is a classic that never gets old.